Beach access via Dune Cross-Overs | Capt Tony's "Walkingangler.com"
Pedestrian dune crossovers can be found along most of the beaches on the Outer Banks. And can be an angler’s best friend. 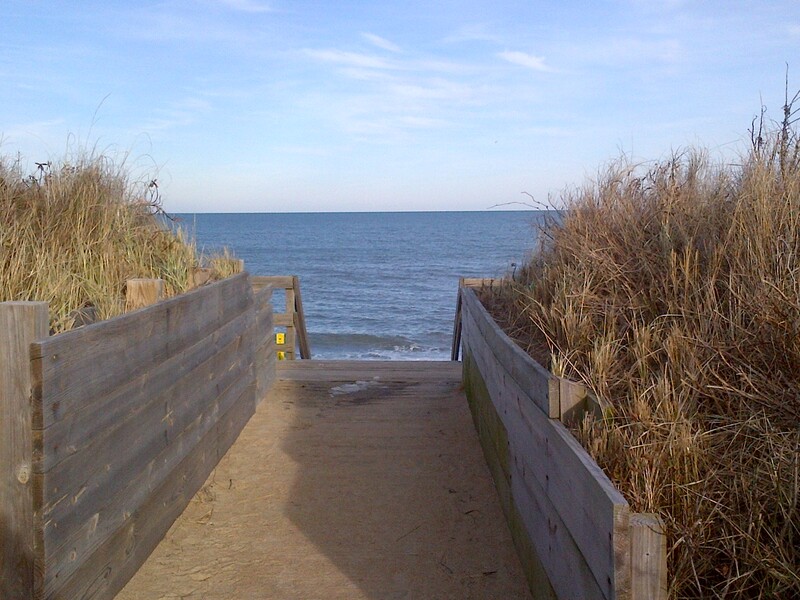 These cross-overs allow pedestrian and anglers a safe access from the road to the beaches. Parking is typically on the cross street right in front of the access or a parking lot within a safe walking distance to the beach. These cross-overs are a great way for the angler to access some on the best surf fishing areas. A word of caution – follow all signage on the public streets and parking areas to ensure you are allowed to park there. I have assembled the various cross-overs and parking accommodations for each town. To access the various locations, go to the appropriate tab.